The app is good except for remembering the last song I was playing before pausing. Please retain the last playing song if the app gets flushed from memory. I lose my place in an album and forget which song I was on, if the app always retained the currently playing song this wouldn’t be an annoyance. Great library. Plenty of issues streaming. Lots of starts and stops. Offline playlists only work if you have an online connection. I have never been able to save a playlist then use it in airplane mode. Playback in the app is a really bad experience (changing between songs using next/prev) and play/pause behavior; inconsistent and doesn’t work the way it should (e.g. pressing prev once will skip back to last song vs restarting current song, and the playback seems to easily get confused on what song it’s actually on and skip songs when moving forwards or backwards through playlist). Additionally the way the song files are loaded in seems to do really bad while moving on highway, even when other apps like Nugs.tv and Spotify are still working for me just fine. Maybe look at api call/timing? Still waiting for a fix! 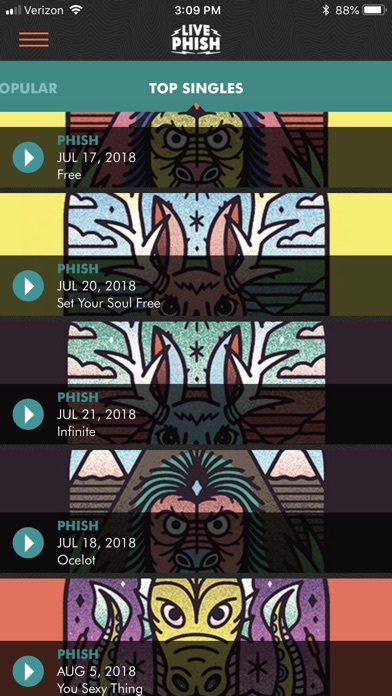 New music comes out - and I’m grateful that LivePhish publishes it. However, the app is not compatible with the Apple HomePod. Quite frankly, that’s not acceptable. Please fix. 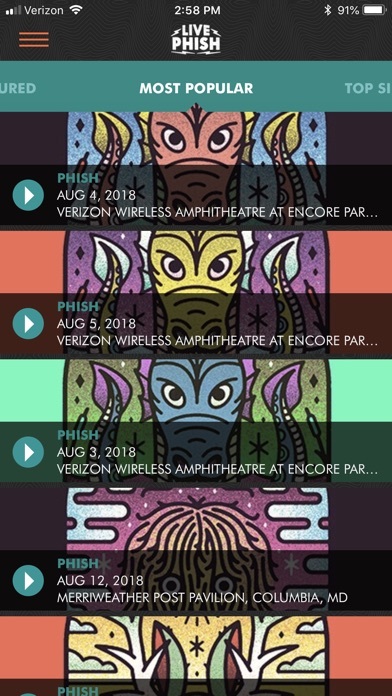 Phish is great and this app is amazing! Thanks, guys! 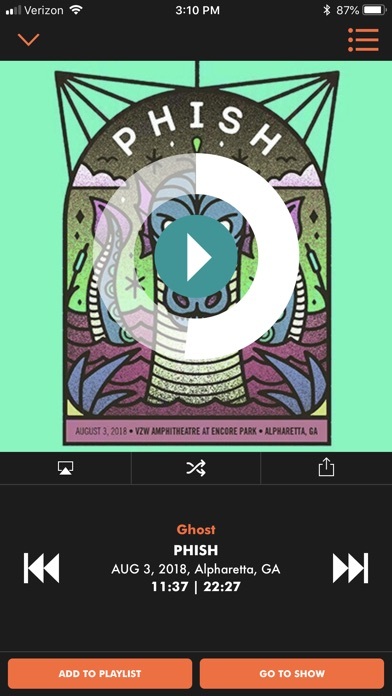 Get phishy with some heady jams dude, right on. Access to infinite selection cuz the songs are never played the same way twice so hot can make sick playlists w all yr favorite versions of all yr favorite songs- the 15 min The Wedge?? The 14min If I Could I Would??!! WHAT? I could listen to 1000 times. YouTube Red & all the other music sites won't have the Archive shows &...I forget what number of was but the cost of this app is so worth it when you listen to Archive #...& realize by the goosebumps & tears welling up in yr eyes bcuz suddenly your taken through sense memory back to the venue & show - every song on that archival release is heard live, was at every show they are picked from - the song was from THAT SHOW!! & at the moment the lights go down & it's dead silent for a split second & then in the next second all at once the madness is unleashed, the potent pent up energy of anticipation because yr not watching musicians magic makers explodes in the hysteric, riotous roar of the crowd bursting & blowing up all at once & it comes back & that residual energy stored in yr body from that show from that song - that Bathtub Gin from Ventura in my mind I immediately was taken back to rushing to get in but my girl was desperate for a soda & right add she was paying the opening notes of Bathtub Gin stuck & I grabbed her & told side to just keep the change & we ran & we ran & running into the show and we for in just in time for the end of Page's crashing notes- and got always know how bomb a Bathtub will be by how vicious page is w the keys - & the energy in yr mind from that experience is released again & lifts you off yr feet. Energy is never lost. It's conserved, transformed, etc., well psychic energy is the same- that sense memory had released that stored energy into your body and surrendering to the flow is like sitting on the sun while it sets (with a Slave) or add it rises (with a 2001). And you can get whatever you want. 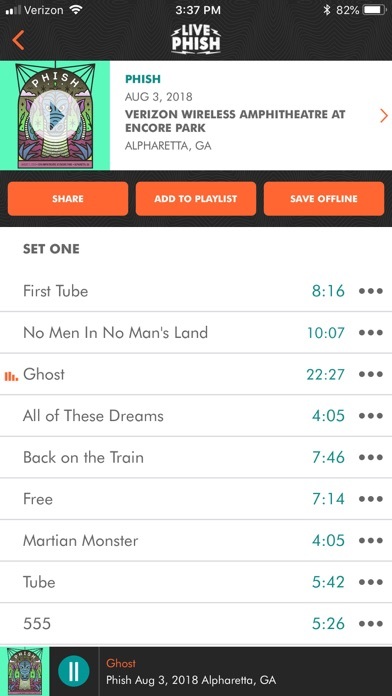 Webcasts too, you can make playlist after Playlist that are full of yr favorite gems. And I ask you, what other band - if you get tix but end up missing the show allows & will let you and OFFERS/ADVERTISES that you can redeem the ticket for the download of the show. I missed 2 nights in Jersey last year & the only thing that kept me from banging my head against the wall was that I could immediately download the shows & blast them in my apartment. 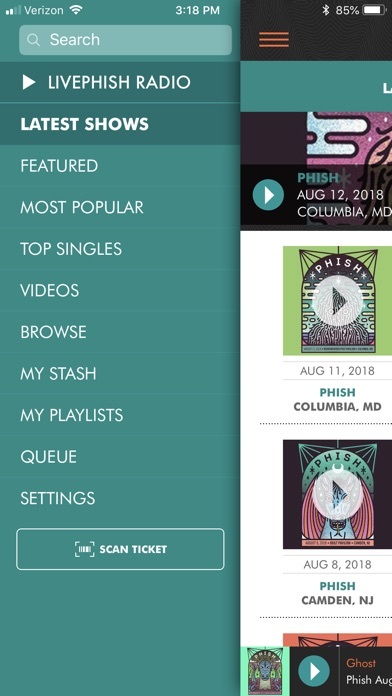 It wasn't Phish's fault I missed the show! They have no obligation to do anything for me, but without having even to ask about a refund no other bands would ever give you Phish hands you the shows for you to listen to add often as for want I wasnt gonna subscribe because Spotify & YouTube Red have so much live phish stuff but they don't have it all & they don't have the Archives & I owe Phish so much, they literally saved my life in '98. 5 Stars. Get it. You will not regret it. AND PHISH IS NOT A "JAM BAND" SAY THAT AROUND ME & I'LL BREAK YR JAW. THEY ARE LIKE A CRITIC SAID, CLOSE TO MILES DAVIS' ELECTRIC BAND, THEY CREATE IN THE MOMENT SOMETHING THAT WASN'T THERE BEFORE AND WON'T BE BACK AGAIN. THEY DEFY CATEGORIZATION. THEY DEFY GENRE. THEY DEFINE MAGIC FOR an intimate review and story behind it check my Twitter thread about the July Fenwsy Shows. At Dub_Ko or brightblackrainbows - administrators please do not not post this bcuz of what I just said, I'm leading them to a longer personal review that is an extension of this for the app. And if yr gonna note pay this just edit it. Delete that part & post the rest. 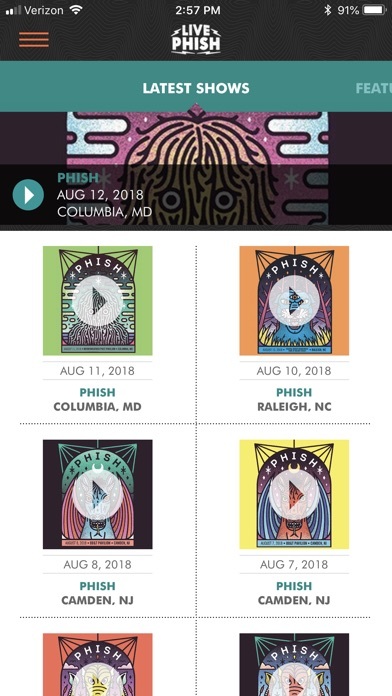 Thank you Phish, Eli Higgins "The Raskol"